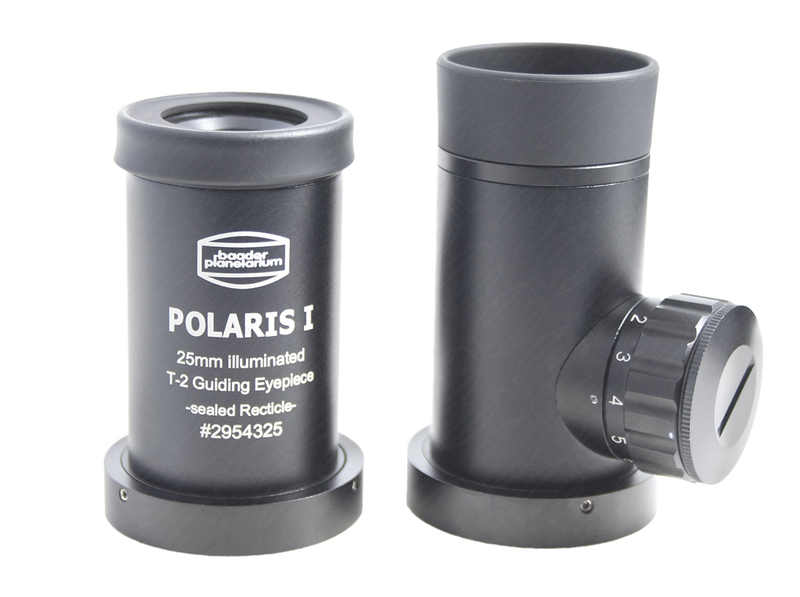 This multi-function guiding eyepiece features a laser-etched reticle with a built-in batter illuminator. The eyepiece is a multicoated 12.5mm Abbe (4 element) Orthoscopic. Is totally free of internal reflections and offers sufficient eye-relief to the reticle to be viewed easily, even with eyeglasses. 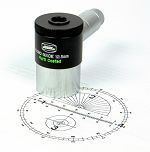 It's finely etched micrometer scale has gradations 50 microns apart and 15 microns wide. The eyepiece includes a built-in cordless illuminator with adjustable brightness control, batteries and instructions. The apparent field of view is 42o.